An international consulting business is currently recruiting a VP, International Human Resources. 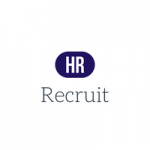 Based in Central London, this role will be responsible for managing and leading all day-to-day international human resources functions, strategies, tasks, operational aspects, and processes while leading the respective country-specific HR team members across the UK, Europe, and Asia. Reporting to the Chief HR Officer, this is a hands-on role that will be expected to operate at both a strategic and operational level, oversee and implement global people policies, programs and practices that foster growth, organisational effectiveness, and collaboration in areas including benefits, talent acquisition, compensation, payroll, learning and development, employee relations, and performance management. Partner with senior leaders to identify where organisational change is needed and manage change processes. Partner with internal departments and teams by providing consultation and developing people practices, processes and structures to drive their business strategy. Demonstrates a strong command of business drivers and an ability to lead/influence workforce practices to directly impact business results. A strong bias for action, data-supported decisioning, and resourcefulness. The candidate will develop a high performing team who is engaged, empowered and enabled to deliver effective, professionalized HR disciplines for its partners across the business and across the globe. In return you will receive a salary of between £130-150K plus 15% bonus.